This month there are many special occasions to attend in the Parish and much to think about. This Sunday, 3rd March, at 11.00 a.m. we will hold a special Service for the Women’s World Day of Prayer in All Saints’. The entire Service will be conducted by women from each of the Parishes and this year we are blessed to have participation from the Loreto Sisters. Last year the attendance was poor and I sincerely hope a lot more parishioners will come to support the women of our Parish who do so much and whose contribution is so valued. The Whist Drive will be held this Friday, 1st March, at 8.30 p.m. This is always a most enjoyable occasion and this will be the last Whist Drive before next November. Do come and join us – you will be most welcome. The monthly Bible Study will be held this Saturday, 2nd March, at 10.30 a.m. in All Saints’. I warmly invite everyone to attend. Those young people who wish to make their Confirmation next October are invited to a preliminary meeting at 10.00 a.m. next Sunday, 3rd March, in All Saints’ Church. This year Ash Wednesday falls on 6th March. The first Service of Morning Prayer will be held in All Saints’ at 8.30 a.m., followed by the School Service at 9.30 a.m, then Killucan at 10.30 a.m., Kilbixy at 10.30 a.m. and Almoritia at 5.00 p.m. and All Saints’ at 7.30 p.m. The season of Lent is very important for Christians and I hope it will be well attended this year. Ash Wednesday provides an ideal opportunity to attend church. A special Training Evening will be held at 7.00 p.m. in All Saints’ on next Thursday, 7th March. All leaders in Parish youth organisations should attend if at all possible, as training is obligatory. A Faith Raising Day will be held in St. Anne’s Retreat Centre, Killenard, on Saturday 9th March from 11.00 a.m. – 3.30 p.m. This opportunity to explore our faith provides a prayerful opportunity in Lent and if you would like to attend could you please confirm with me as soon as possible. There will be a meeting of the Select Vestry in the Rectory at Wednesday 13th March at 8.00 p.m.
A Meeting will be held of the Society at 2.30 p.m. on Thursday 14th March in the Rectory. Each year we invite parishioners from each of the churches to attend a United Service of Celebration of Ireland’s patron saint. This year a Service with special music will be held in All Saints’ at 11.00 a.m. Like last year, the Road Race will leave Church Avenue at 10.30 a.m. sharp and access to the church will then be easily available. Siobhan Murphy, the dance choreographer, will be organising three modules for Liturgical Dance this year. The first dance will take place on Good Friday evening, 19th April in All Saints’. 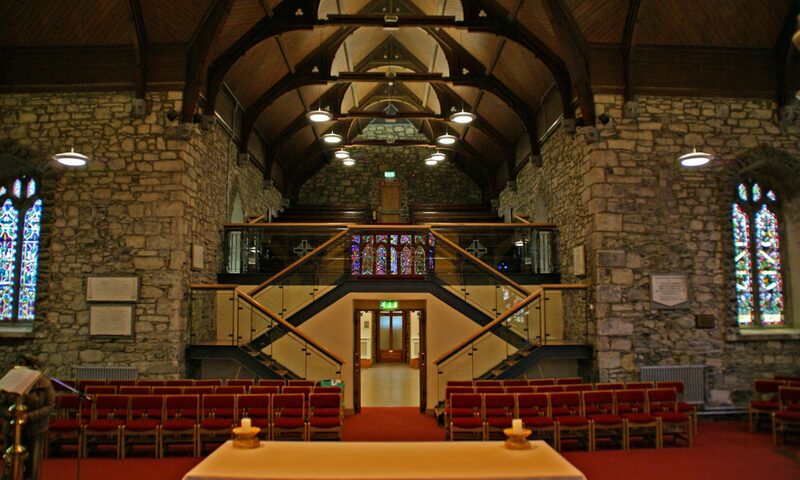 The first rehearsal will be held in All Saints’ on Sunday 24th March at 5.00 p.m. This is a wonderful opportunity for young people from aged 11 years upwards to participate in liturgical dance. One young person has confirmed their attendance. I look forward to hearing from other young people who would like to participate. Following the recent tragic death of the young girl in England whose father publicly stated that he felt his daughter had been influenced by social media, David Coleman, the distinguished psychologist, wrote a very powerful article in the Irish Independent on internet safety for young people. I contacted David Coleman and he kindly accepted by invitation to give a lecture on Thursday 28th March at 8.00 p.m. in the Mullingar Park Hotel on ‘Social Media and Internet Safety for Young People’. The lecture is being hosted by All Saints’ National School. This is a wonderful opportunity to hear at first hand from a renowned expert, of the dangers of social media. The meeting is open to everyone, parents, grandparents, and all interested adults. There is a modest charge of 5 euro and tickets can be obtained at All Saints’ School. Please invite your friends or neighbours as this is a lecture not to be missed. Canon Patrick Lawrence will lead a Prayer Retreat at St. Anne’s Retreat Centre, Killenard, on Saturday 30th March from 10.30 a.m. – 3.30 p.m. Some parishioners have already confirmed their attendance. I warmly commend this occasion to you and I can confidently say that, if you are able to attend, you will find it enormously beneficial. This year Mothering Sunday will be celebrated on Sunday 31st March and there will be special Services to mark this important day in the Parishes. During Lent this year we look forward to hosting three Lenten Lunches and the proceeds will be donated to helping the plight of the children in the Yemen. The first Lunch will held in Kilbixy on Saturday 23rd March from 12.00 noon – 2.00 p.m.
You are warmly invited to join us for coffee in All Saints’ every Thursday from 10.30 a.m. – 1.00 p.m. Midday prayers at 12.00 noon. We welcomed in to God’s family through Holy Baptism, Cathal Dunne. We pray for him, his parents and godparents, as he begins his journey of faith. We offer our deep sympathy to George Forbes and his sister Maria following the peaceful death of their father George Henry Forbes. George Henry was a delightful man who, throughout his long life, enjoyed a very interesting and enjoyable career. He so easily invited the confidence and trust of those who knew him. His son, George, was a wonderful support to him in his later years which enabled him to remain living at home. After a short illness he passed away in Mullingar Regional Hospital and was buried in Killucan churchyard. We pray that George and Maria will be comforted by their loving memories of him and in the assurance of knowing that God’s promises are true. We pray that, now in the fuller presence of God, George Henry may rest in peace. We also offer our deepest sympathy to Ber Hynes, following the death of her father John, who bore his illness with enormous courage prior to his passing. John was a man of deep faith and his family offered him wonderful support and comfort before his death. We pray that John, now in the fuller presence of God, may rest in peace and that Ber, and the family, will be comforted by their loving memories of him.